Below is some information about the earlier mobile app. For playing tabletop roleplaying games like Dungeons & Dragons or Pathfinder. 3D Virtual Tabletop can also be used for almost any board game where you move game counters or tokens around on a game board. Stand Your Miniatures Up to Fight! See your characters and monsters in all their glory, standing tall on their miniature bases, to face their enemies front-on. You can literally see the giant towering over your character, making his defeat, and your victory, that much sweeter. They look like the "pawn" style miniatures that you would have on a real tabletop. Together with the way they sit on the map, it really evokes the feel and atmosphere of a tabletop a role playing game. Swipe 2 fingers up or down the screen to change the angle you're looking down onto the tabletop. You can even go right up to a top-down view, for a more tactical assessment of the battle. With pinch-to-zoom and touch to move around the map, even humungous maps are a breeze to use on a small device like a phone. Zoom in to the action, or zoom out to get your bearings. 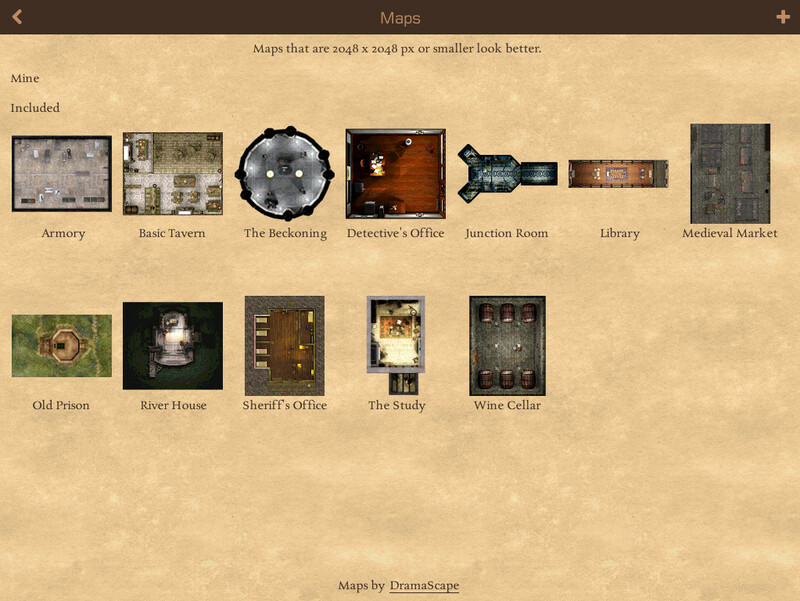 Keep the sense of mystery going by revealing the map from the fog of war as characters explore. Works great over a network multiplayer connection where the GM can see a dimmed view of what is hidden. It can also be used on one device in the middle of the table that everyone looks at, where hidden areas are completely black. No need to set up complicated blocking layers and sight ranges, merely move your finger over a square to hide or reveal it. As a convenience you can also hide or reveal the entire map at once. 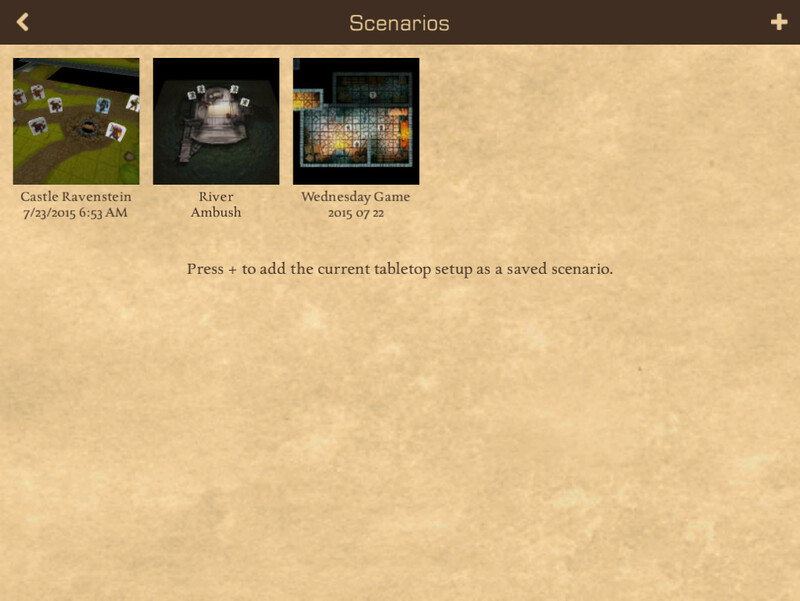 3D Virtual Tabletop works on iPad, iPhone, iPod, and Android tablets & phones. No matter which device you are on, you can connect with other people to share the tabletop. it doesn't matter which device they are using either. Pick up right where you left off last session by loading a scenario that was saved at the end of the game. Populate a map with adversaries beforehand, and hide them with fog of war, ready to surprise those foolish enough to enter. You can bring an exciting battle to bear in seconds by loading something you prepared earlier, to keep the pace up in the game. Give all the miniatures on the map their proper name, and you can also change it as the battle progresses to mark all sorts of conditions or special effects. This is great both for players identifying which adversaries they are going after, and GMs for keeping track of what is happening. Miniatures can be automatically labelled with their name when you place them, or start blank to make it easier to write your own label. You can choose whether to display labels or not, whatever works the best for your game. 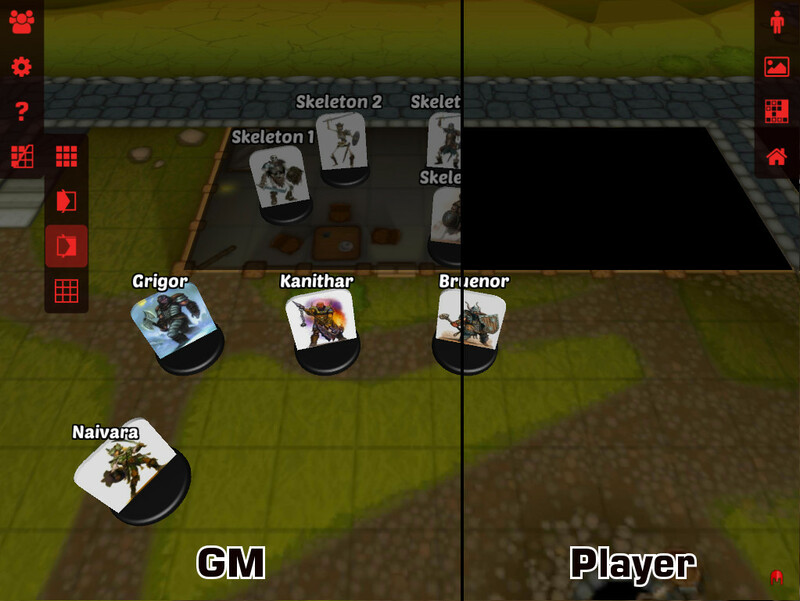 There are more than 100 different miniatures included with 3D Virtual Tabletop. You're bound to find something there you can use to start playing right away. it comes with a dozen maps to get you started, from a secluded library to a bustling tavern, even the junction room of a space ship. Import your own miniature portraits from a picture on your device, or even take a photo with its camera and use that in-game. Importing your own maps gives you limitless regions to explore. With the touch of a button you can customize the square grid to make it the right size. The preview at the bottom of the screen lets you shift the grid around to get it lined up perfectly. You can also use hex gridded maps by setting the size when you import the map, then turning off snap-to-grid when you use it on the tabletop. Images can come from your mobile device, or you can take a photo of a map or terrain that you have set up, and travel through it inside 3D Virtual Tabletop. When you log in with Google+ the maps and miniatures you have imported are synced. That means you can log into 3D Virtual Tabletop on any other device, and your maps and miniatures will be available for you to use. This even works across platforms. 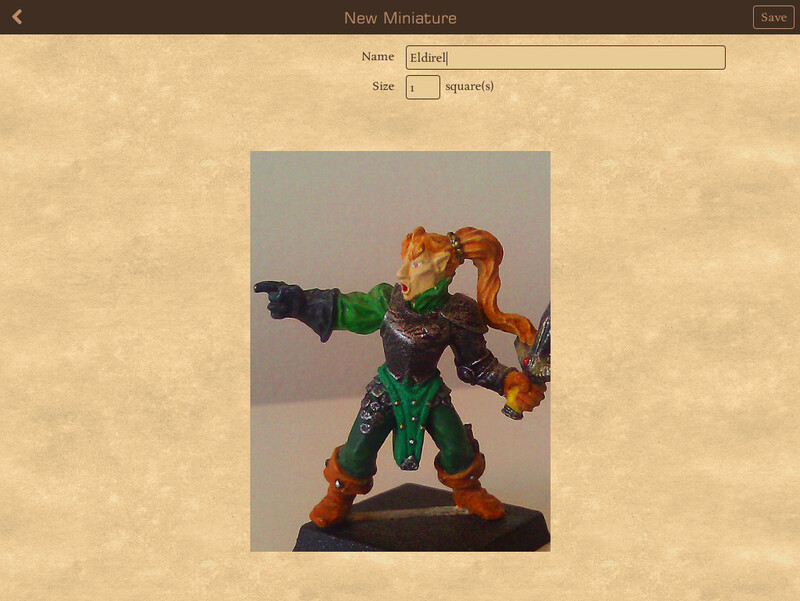 If you import your own miniature on an iPad, you can log in on an Android tablet, then it will download the new miniature to your Android device and you can put it on the tabletop. The maps used in the screenshots are from Darkraven Games, Dramascape and Lord Zsezse Works.